Trevor Taylor, our Chairman / Owner set Amshire Solutions up in January 1995. Each of our IT engineers hold Microsoft qualifications. We encourage them to progress through the Microsoft programme to keep up to date. These qualifications are hard work, demanding a thorough knowledge of each topic. You can be sure that whoever is working on your system is competent to do so. We must meet strict criteria set by Microsoft regarding our level of expertise and Customer satisfaction before we can become a Microsoft Certified Partner. As a Microsoft, Certified Partner this gives us direct access at any time to Microsoft’s own experts, allowing us to resolve your problems more efficiently. As a Microsoft Small Business Specialist, we understand small businesses and know what equipment and services best meet small business needs and budgets. 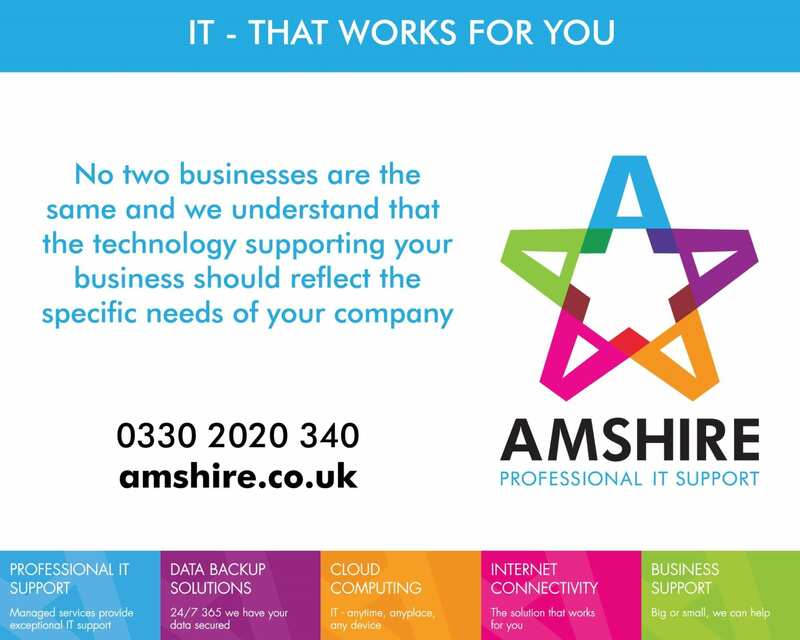 We are also a Dell Certified Partner, which gives us access to higher levels of service and support. We also receive better deals on their equipment too. Amshire holds ISO9001 from QMS. Annual audits of our records are carried out annually. You can be confident that we have efficient processes in place and always looking for ways to improve. Amshire is still run by our founder and Chairman, Trevor Taylor, and is very much a family concern. Trevor’s son Dave is Managing Director with Dave’s partner being Lesley Christian, who is our Finance Manager. Lesley’s Mum, Chrissie is Marketing, Quality and PA to the Directors. This family involvement gives us a strong shared commitment to the business and to our Customers.